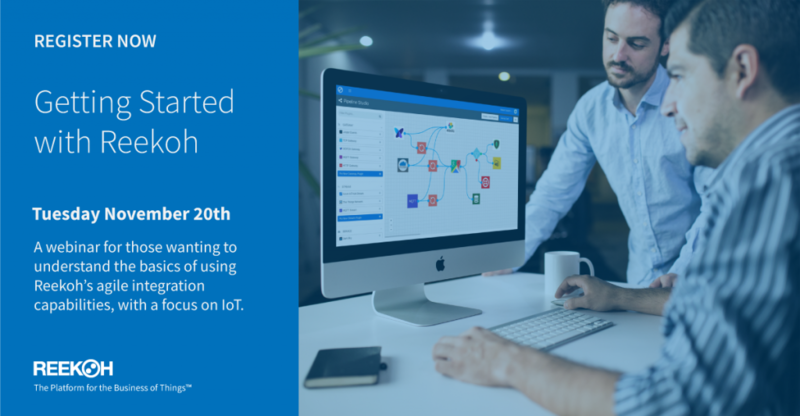 We’re running a webinar on Tuesday November 20 9am AEDT (Mon 19th 3pm PST) for consultants and data/system architects to get a detailed introduction to the Reekoh platform. The webinar will be hosted by Reekoh CEO Dale Rankine, with a technical demonstration from Andrei Hawke, Reekoh’s Technical Solutions Manager. The session will look at topics such as running a more successful IoT project from POC to Pilot and Production, important considerations and methods for integrating IoT data and data conversion, and the overall Reekoh platform and tool-kit for achieving agile and scalable outcomes. Register here for this free 1 hour webinar.